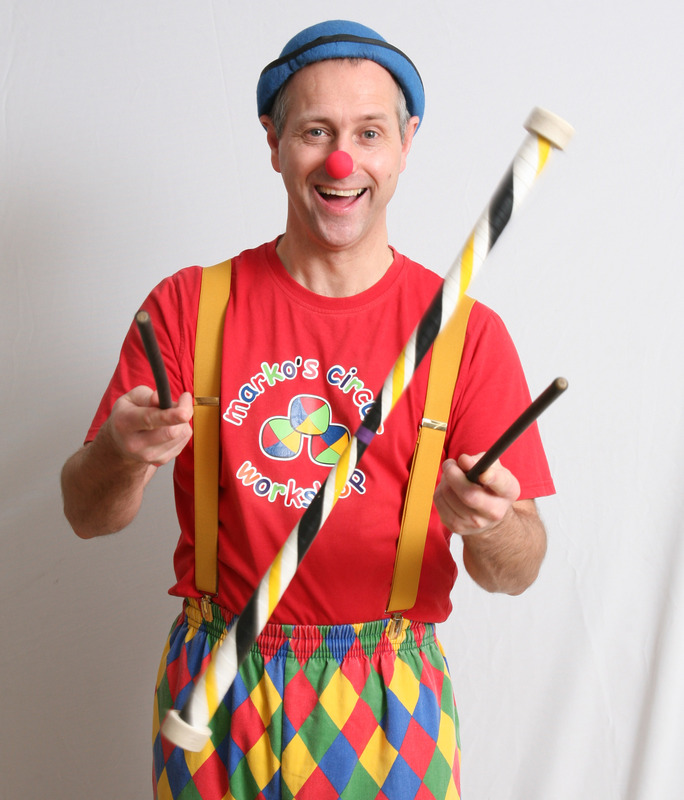 Our Circus Skills workshops & events are a great way for children, and adults, to get a taste of the circus. All ages 4 to 104 can take part. 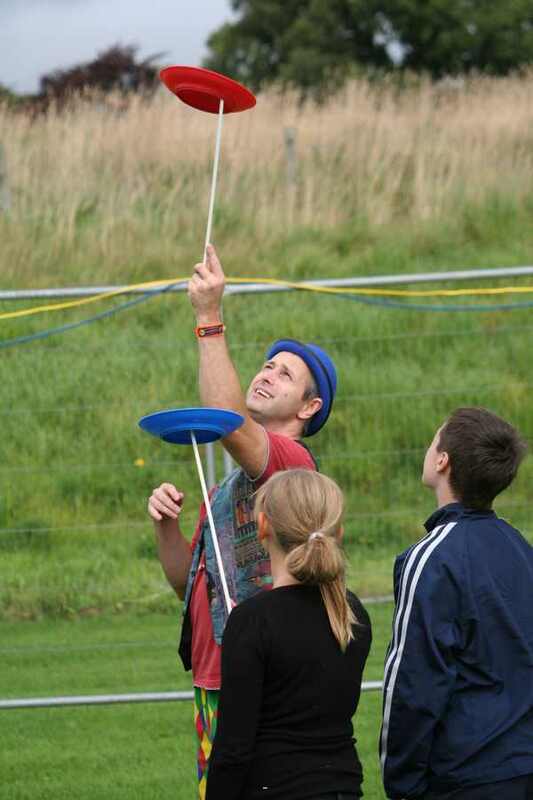 The workshops are totally hands-on giving children the opportunity to try out a range of activities and equipment. 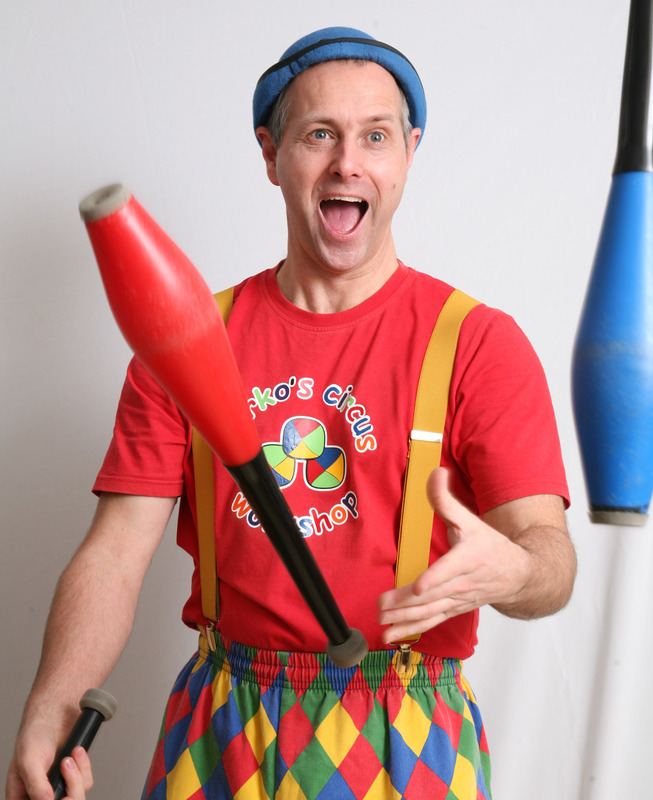 Circus Skills are a fun way to keep fit, improve co-ordination & build confidence. We also encourage the teachers to participate too ! 15 minute Introduction & demonstration to all the school, usually at assembly. 45 min. 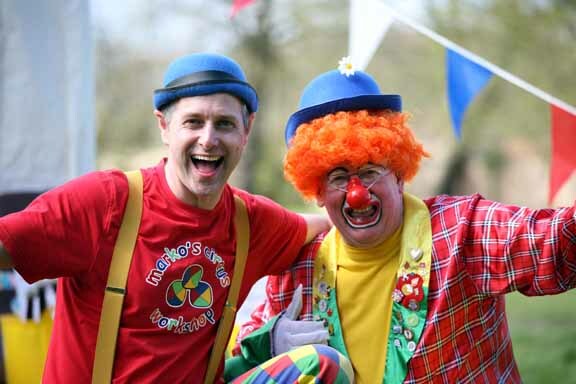 sessions for each class or groups learning & practicing Circus Skills and Balloon Modelling or Puppet Wokshops..
Then to end with - MORE FUN - A Comedy Clown Show with Marko & Tommy Bungle. 45 min. 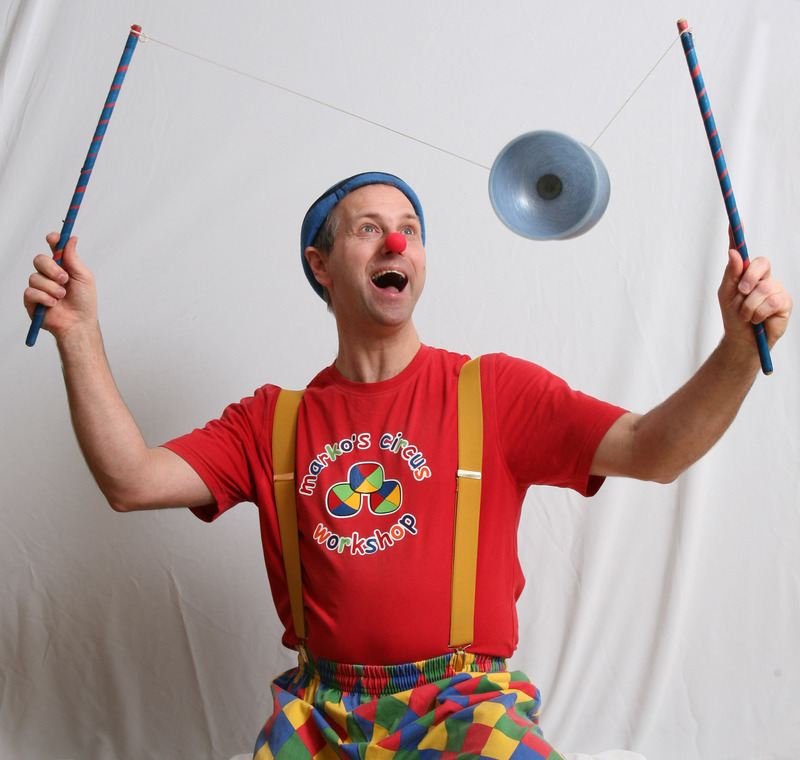 sessions for each class or groups learning & practicing Circus Skills throughout the day. 45 minute sessions arranged for after school on a weekly basis. Maximum of 25 children per session.